Within most galaxies is a supermassive black hole. These black holes can have a mass of millions or even billions of Suns. When actively consuming material, these black holes can produce tremendous amounts of energy, and can be seen as quasars, blazars and radio galaxies, depending upon the way they are oriented relative to our vantage point. At least that’s been our understanding. But now a new paper in the Astrophysical Journal has thrown a wrench in one part of that idea. The paper looks at the differences between obscured and unobscured black holes. With some supermassive black holes, the region near the black hole is relatively free of gas and dust (unobscured) and thus is fairly bright. With others, the black hole is surrounded by gas and dust (obscured) and thus the region near it is fairly dark. In the doughnut model, black holes are obscured or unobscured based upon their orientation. In the unified model, it’s generally thought that a black hole is surrounded by a torus of material, gathered through gravitational and electromagnetic interaction with nearby gas and dust. 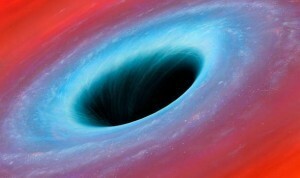 If the torus is oriented along our line of sight, then the black hole is obscured. If we are looking through the middle region, then the black hole is unobscured. This model is sometimes referred to as the doughnut model, since the torus is basically shaped like a doughnut. If this is the case, then there should be a random distribution of obscured and unobscured black holes. Since galaxies are oriented randomly, the “doughnuts” should also have random orientations. So the authors looked at data from the WISE infrared telescope, and identified 170,000 supermassive black holes. They then looked at the distribution of obscured and unobscured black holes. 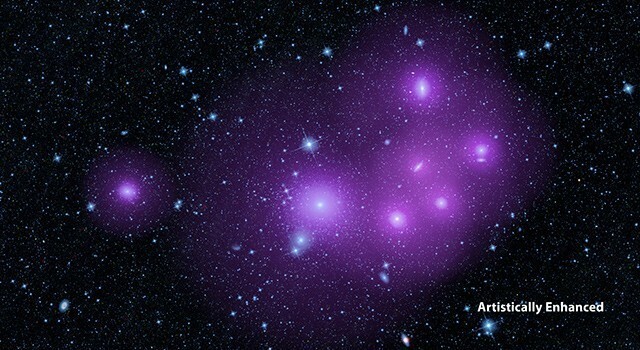 What they found was that obscured black holes were more prevalent in clusters of galaxies than unobscured ones. In other words they aren’t just randomly distributed. This means the doughnut idea doesn’t match the data. Does this mean the whole unified model idea of quasars, blazars, and radio galaxies will have to be discarded? No, but it does mean that the simple torus idea will need to be modified. Obscured black holes are more clustered together, and we don’t know why.